"Deck the halls with boughs of holly..." - You&apos;ve heard those holiday lyrics, right? This month, the staff at Haymeadow Apts wants you to share some of your holiday spirit with your neighbors! How? Deck your hallway (door, living room, balcony) for the holidays and you could win! Now through Sunday, December 17th, post photos of your holiday decorations to our Facebook page (Facebook.com/HaymeadowApts) and you could win one of three holiday prize packages worth $25! (must be a current resident of Haymeadow Apartments with no outstanding balances owed)We are looking for fun. We are looking for creativity! We are looking for something that would make the Grinch&apos;s heart grow 3 sizes bigger!!! That doesn&apos;t mean it has to be elaborate or expensive, it just needs to be a holiday-related photo of your apartment! Tuesday, December 19th, we will announce the winners of "Deck Your Hallway" contest during our Cocoa and Cookies event at our leasing office. Just like last year, we will have a nice afternoon treat for our residents who stop by to visit of cocoa and cookies! 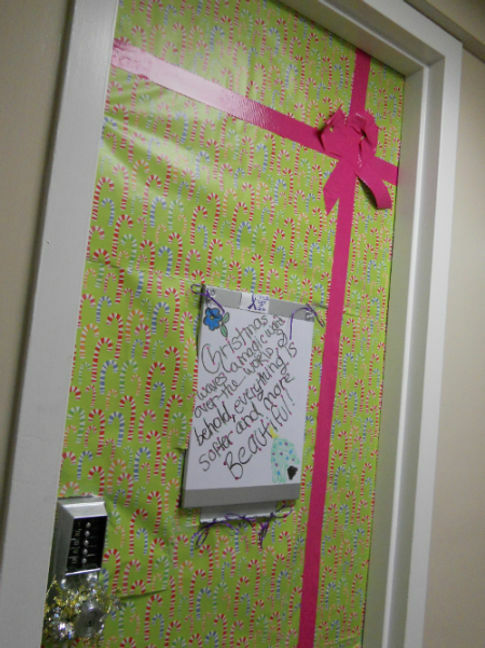 Just our way of saying thank you to all of our wonderful residents as approach the holidays.Happy Holidays everyone! Now let&apos;s see how you decorate! Until next time, thanks for reading and sharing!